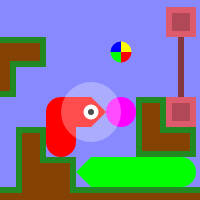 A clone of Snakebird by Noumenon Games. 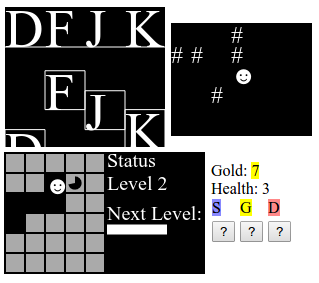 It includes a level editor for making user made levels. Check out the github wiki for a list of levels made by the community. 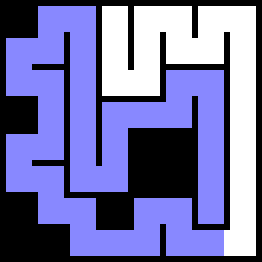 Yet another rotate-tiles-to-connect-loops game. Features square and hexagonal tilings, toroidal topology, and more. Mobile friendly. 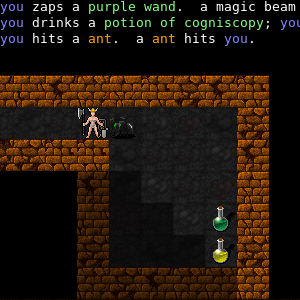 A hack-n-slash roguelike dungeon crawler inspired by Nethack. Pick up and use potions and wands, level up, reach the boss, and outsmart him. 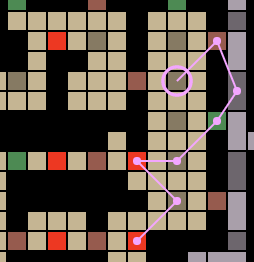 Multiplayer html5 board game simulator. Drag cards, dice, and game pieces around a 2d table to play games with friends. Intended for use as a board game prototyping tool. A platformer work-in-progress. I have big dreams for this game, but little to show for it, hence the name: short for vaporware. So far it's just an experiment to create satisfying platformer physics. 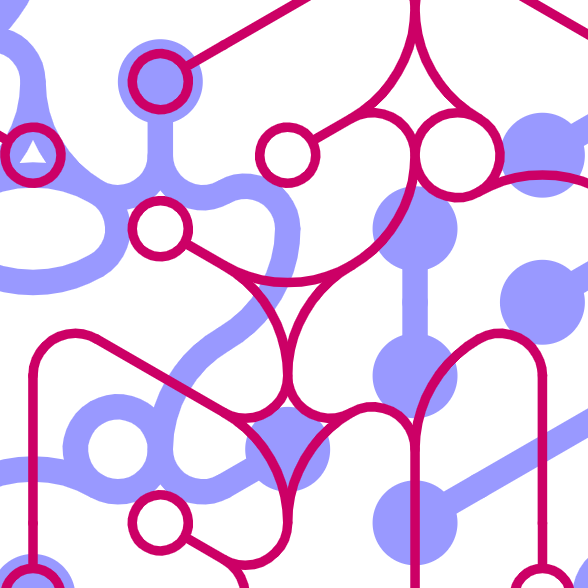 Explore different maze generation algorithms and different topologies. The project has interactive step-by-step rendering that illustrates how different algorithms work. A physics sandbox inspired by Braid. 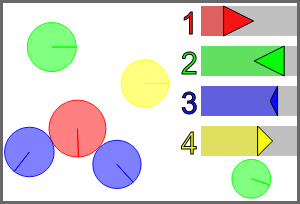 Control the forward/backward flow of time for four different sets of objects independently. 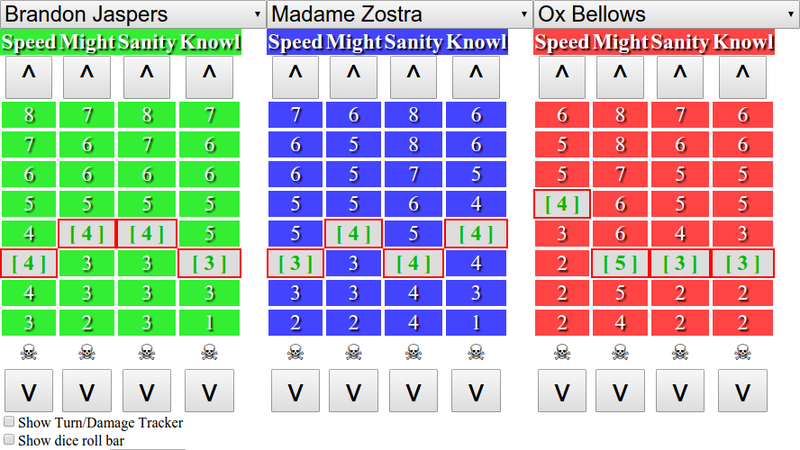 Track character stats on a laptop instead of the cardboard pentagons with black coffin tokens. Includes a dice roller for convenience. There is also an experiemental enhanced game assistant, which also simulates shuffling and drawing from the decks of cards (not rooms or player pieces). Can run some of the basic events, like Night View and Creepy Doll, with a single button. Plays the role of the thief in the 1979 board game Stop Thief: Electronic Cops and Robbers. Choses randomly from a set of faction names. Supports blacklisting/whitelisting and importing custom factions. Mobile friendly. A card shuffler for Star Wars Mafia, a variant of Mafia/Werewolf. This program allows you to select which characters should be in the game, and then tells you the order. D6 dice roller specialized for GURPS. Supports huge numbers of dice, shows history, and has hotkeys for everything. It's just a stopwatch, and not a very good one. I used it to time myself while speedrunning Riven. Avatar Strength - Your "avatar", i.e. your character, gets stronger. In this game you gain the ability to mine blocks faster by mining more blocks. There is no skill involved; your avatar is only as strong as the game allows. Skill Game - The only thing that determines how well you perform is your skill at the game. The game mechanics are simple to learn, and there are no power ups. 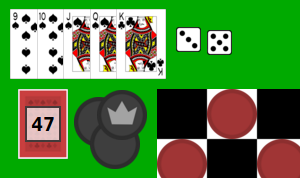 Memory Game - Similar to skill, memorization enables the player to master a game by simply learning the arbitrary mechanics of how the game works. Luck Game - A type of power that does not involve the player or the avatar, power in this game comes from purely random chance. This game is effectively a slot machine. I also made a luck-based game simplified to the extreme here.